Ok so here is what I discovered after firing about 150 rounds yesterday. I started by using a box of Blazer that I had cleaned of lube, 50 rounds without an issue, next tried a box of Blazer with the lube left untouched, after 15 rounds I had my first FE after 20 rounds it became chronic with every round requiring a second cycle of the bolt to extract the spent case, swapped ammo to Browning 20 rounds no issue, changed up to some Winchester M22 another 25 rounds no issue although grouping suffered, went back to the untouched Blazer and after 20 rounds the extraction problem returned, that was it for the day. Back in my shop cleaning revealed the hole that runs from the breech extractor slot to outside was fouled pretty bad with excess lube - I really wish I knew how to post pictures on this site - also at the range the fired Blazer cases had a "sticky" feel to them. 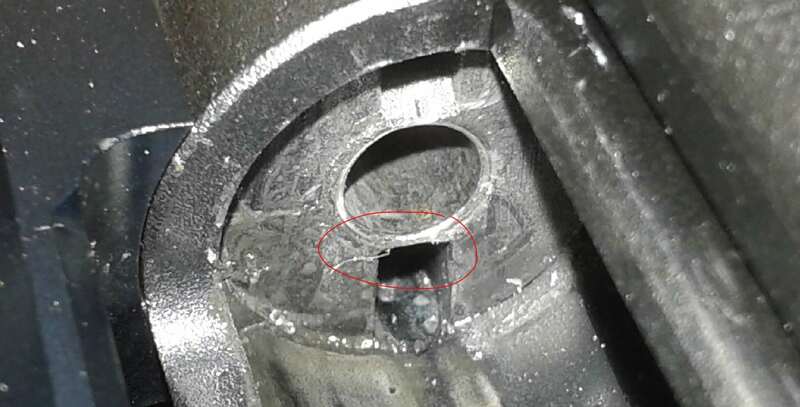 I am pretty sure it is the excess lube alone that is the issue, I thought about case and rim size anomalies but if this was the case I'm sure this would also cause fliers and I honestly do not have any with the Blazer. So final my thoughts, I"ll clean the Blazer ammo that needs it and use it for those precision targets and use the other ammo for the fun stuff, I will keep you all posted and try and figure out how to get pictures posted. Thank you all for the advice given nd I hope this helps anyone else who may have a similar issue..
Thanx for the update; I just bought a brick of Blazer to trial and will look 'em over and watch for issues. gcrank1 let me know if the lube is really heavy on the bullets or did I just get a batch that was over lubed, the boxes that gave me grief were so heavily lubed they had to be pulled from the plastic form they were in, they would not fall out on their own, good luck I have a couple more bricks I have not opened yet, they may be better. Were I you, Tony, I would check the lot #s of those bricks and try the dump test from each right off. And I will also and report back. We finally had 54F, sunny and nice, light spotty wind. I set up my bench equipment and got to play on my range with some RWS Target Rifle and Eley Sport, ran out of time to try the Blazer. Was nice to be able to shoot for a while again. I had reason to visually check 4 ammo's today, looking to weed out any funky looking ones and might as well check my impressions of lube, too, eh. Eyeballed each round (math says 200), no visual rejects. In fact they all looked pretty nice. Eley is more waxy, a dryer lube but doesnt look dried up at all, Sport and Club looks pretty much the same. The Blazers are somewhere between RWS and Eley and these were a bit thicker looking lube but not enough to be clumpy gooey; in fact, it seems more to the stiff side than soft. I am going to try and post some pictures so it can be seen how much extra lube is actually on these bullets. Hope they show in the post if not let me know. The numbers inside the individual boxes of 50 from my two remaining bricks are G14ZAO4 and L19YAO2 not sure if this is the lot number or not, numbers on exterior of brick box are different but identical. Yes the lube on the Blazer is rather hard. Last edited by toeknee; 03-24-2019 at 04:04 PM. Your pics aren't showing up. The lube is only a causal factor, not the Root Cause. I'm not surprised cleaning out the extractor slot and the hole had no effect on the issue, logically, why would it? Ok so removing a very small amount from the the slot cures this problem, and you are right I am apprehensive about doing this to my barrel, please bear with me but would not stoning the back of the extractor and making sure there were no burrs on it not achieve the same result? at far less risk, an extractor is inexpensive and easy to replace, a barrel is not. No, stoning the extractor doesn't change the situation where it is the *barrel* pushing the extractor out too far to bite the rim sufficiently. The barrel is where material needs to be removed. Have a look at this CZ barrel, they actually make a razors edge at the chamber mouth. If I run a fingernail across the breech face, it actually dips down slightly where the extractor slot is cut. You can see the wear on the bluing in the extractor slot, the extractor is able to get right in there up to the case wall and fully grab the rim. You don't hear CZ owners complain about extraction issues. I'm borrowing this pic, it was posted by the fellow I quoted above for his Savage MKII FVSR. He circled the wrong slot, but you can tell both are left much thicker at the chamber mouth than my CZ above. This is one of my custom rifles with the V-breech. I hand filed the right side until extraction was good before I permanently attached the barrel to the receiver. What I can suggest is testing out the tool you'd use for this operation on some scrap metal first. That will give you an idea of how aggressively it removes material, and how it reacts when it hits the material (in the case of rotating tools like the Dremel). Then you can be a little more confident taking it to your barrel. Last edited by R4B1DM4U53; 03-25-2019 at 08:52 PM. Imo, power tools are best left to professionals or the highly experienced. Can be done with a small, fine file? %%%% I really wish I could master posting pics on here, so I could get some before and after shots, I used to use photo bucket until their price became in reasonable, suggestions please. Guess d-a-r-n is a bad word, apologies. Get Tapatalk and you can upload photos directly from your mobile device. I use snapagogo, it's pretty user friendly. If you could use Photobucket, you can use snapagogo. They do limit file size to 2MB, so I have to email pictures off my phone to myself and re-size them smaller on my computer, but that's easy.